Collection of 'Creative Cutlery and Unusual Cutlery Designs' from all over the world. 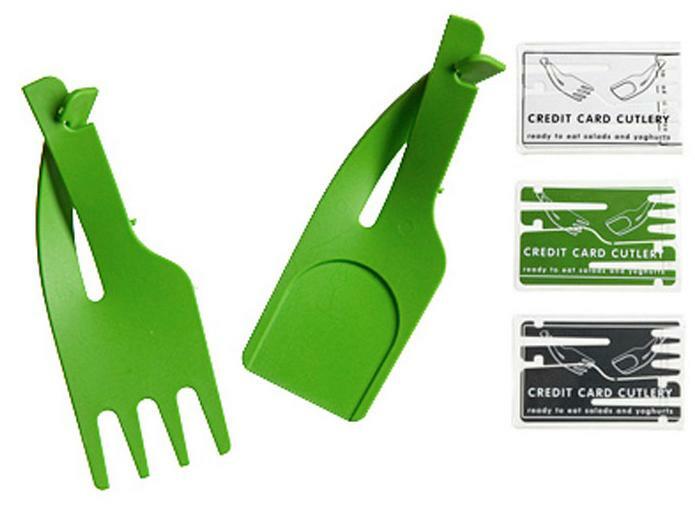 Credit Card Cutlery: As convenient as a credit card that you can keep in your wallet. 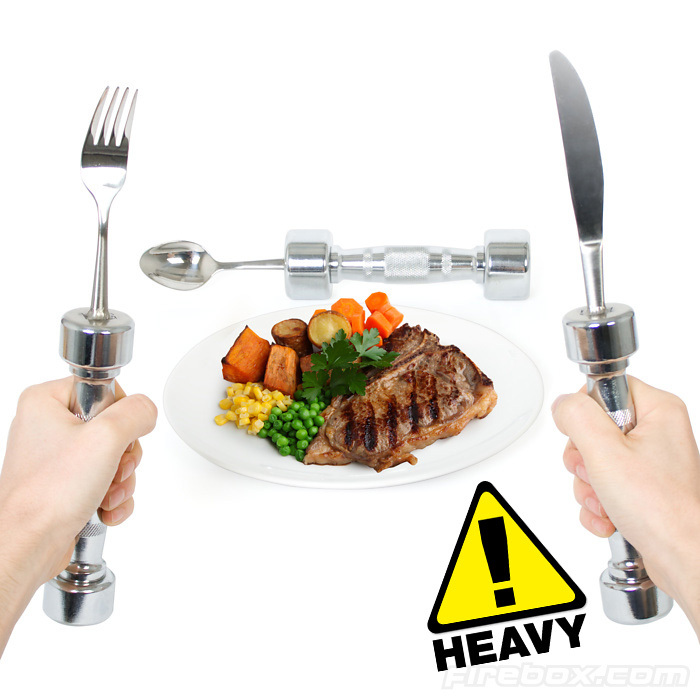 Eatfit Cutlery Set: Choose from handmade 1 kg Knife and Fork Set or work up a real sweat with the full set. 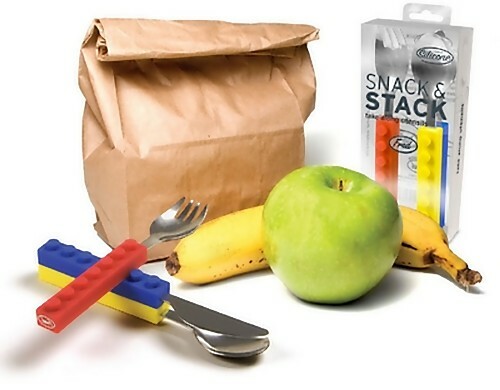 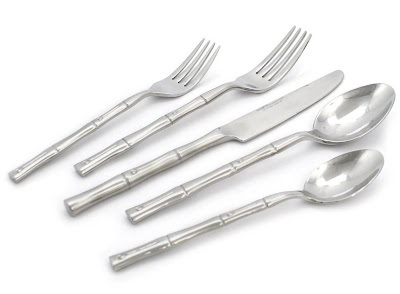 Brick Style Cutlery Set: Instead of playing with the food; play with this cutlery set. 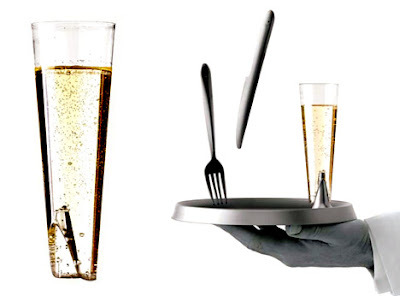 Lux Dinnerware by Philippe Starck: This durable collection consists of a complete selection of plastic glassware, cutlery, and dinnerware. 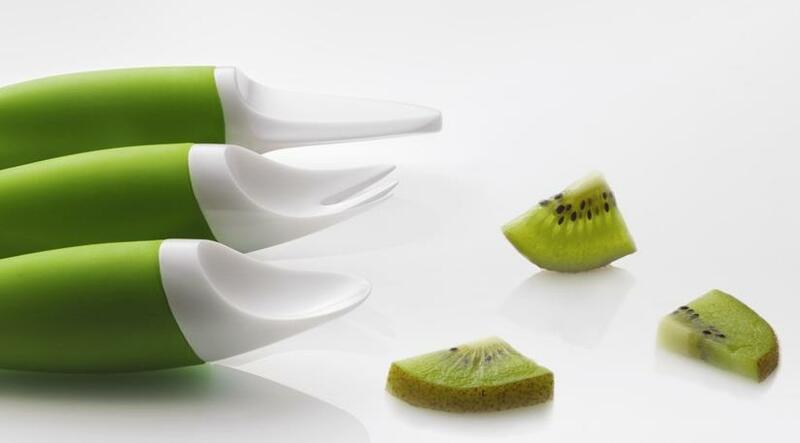 Toddler Table Cutlery: Designed by Josefine Bentzen, its ideal for kids from age 6 months up to 2 years. 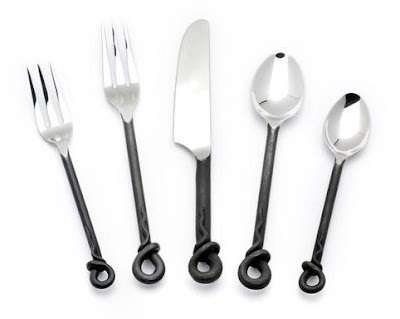 The shape of these is based on the particular way an infant holds objects, thus making it easier for the kid to control. Foodle by Dalton: A creative cutlery design that fixes over color pencils, and paper placemats that double up as a doodle board. Cutlery by Nedda Asmar: Beautiful table cutlery design by Belgian designer Nedda Asmar. 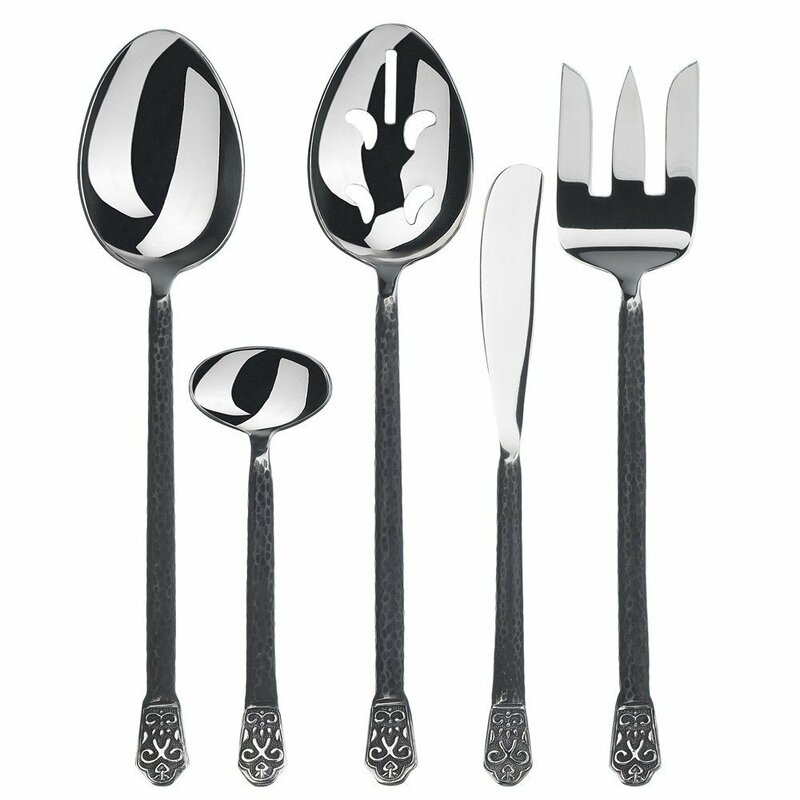 Handmade Twirl 20 Piece Flatware Set: This gourmet settings flatware beauty blends seamlessly together the polished head and matte black body. 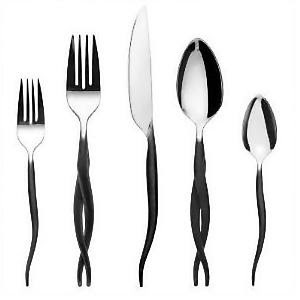 Gourmet Settings 5 pc Stainless Steel Set: It's a perfect mix of classical flatware elegance with a rustic flair. 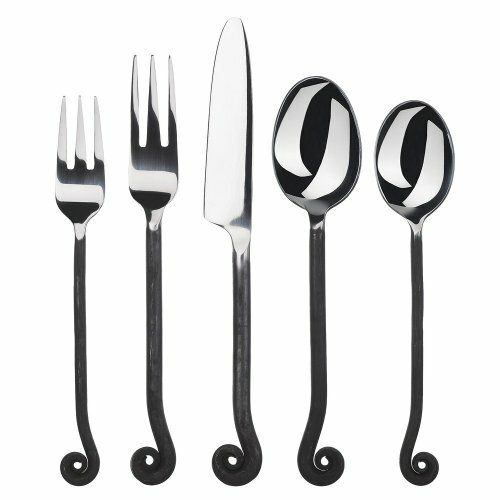 Flametail 5 Piece Place Setting: Weighted loop handles gives this flatware a unique design while shine of this stainless steel flatware is set off by the beautiful burnished black handles. 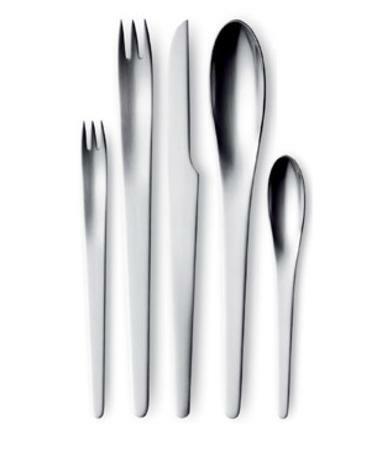 Georg Jensen Arne Jacobsen 5-piece Steel Cutlery Set: A classic minimalist cutlery set created in 1957 by Arne Jacobsen. It comes with simple lines that harmonize beautifully with the finish of the craftsmanship. 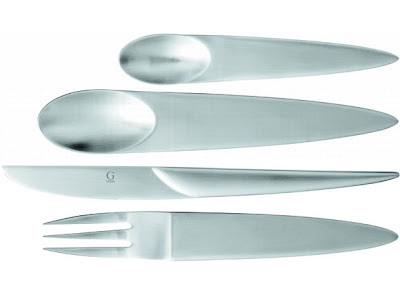 Hampton's Bamboo Flatware Set: The set's long, slender piece features a round handle sculpted to resemble a bamboo. Gourmet Settings Treble Clef 20-Piece Flatware Set: It has an artisanal quality, natural shapes and distinctive finishes, while the handles are blackened for a rustic effect. 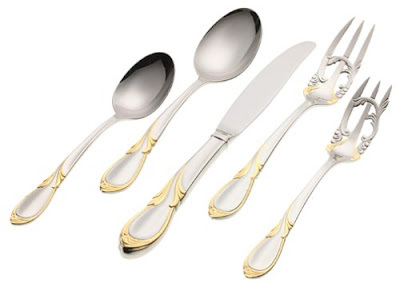 Yamazaki Gold Accent 5-piece Place Setting: The fluid lines and gold gleam of flatware creates a glamorous, graceful look at the table. 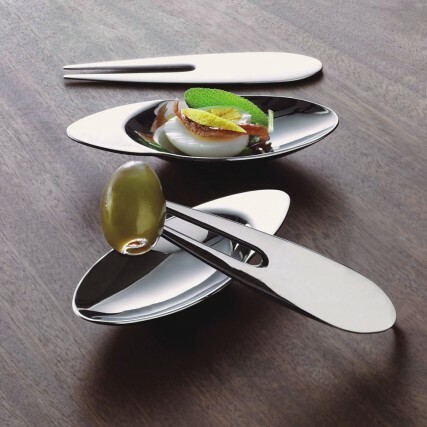 Don't miss to check out "Creative Cutlery and Unusual Cutlery Designs - Part: 1| 2."